This is all connected to the “Drop & Pop,” which of course has to do with the initial transition from the top to halfway down (the “Drop”) and the extension from the “3 O’Clock” position halfway down to the “9 O’Clock” post impact position (the “Pop”). Now, I took great pains in the “EMCS2 – The Follow-Up” video to explain the 3 Levers, so you’re all familiar with this. 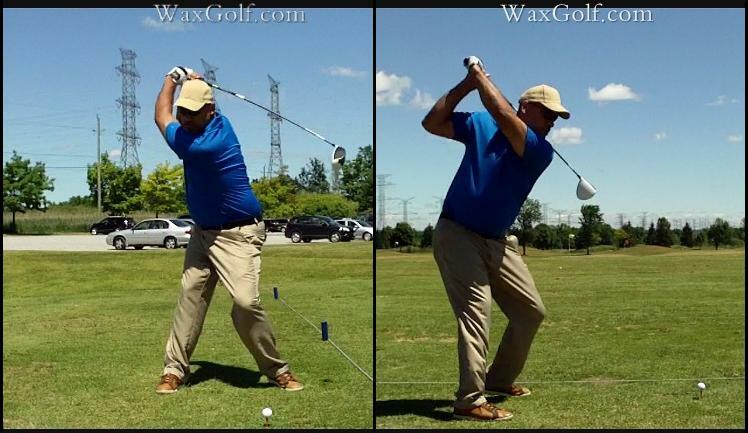 So, let me make the connection – when your top position isn’t as tight as it could be, you will begin to release the club earlier than is optimal on the way down, and that will affect everything from your impact position to you club path and yes, the power you create from the “3 To 9” positions. 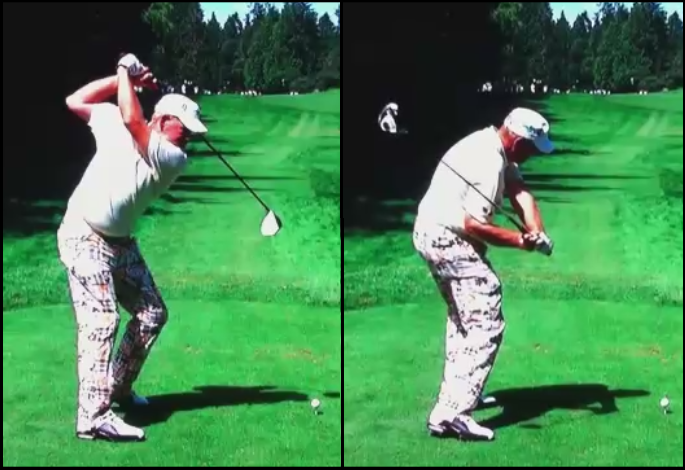 Without getting too deep into the weeds, this makes all the difference in the world – because Daly is right-dominant, he could crank that back swing way past parallel and not release early because he isn’t pulling down with the leading arm. It’s far easier to do it the standard way, because let’s face it – if you could swing like John Daly, you’d be doing it already, and if you’re not, the standard way is far easier to change to and emulate than J.D.’s! So, the whole key to the “Drop & Pop” is to preserve the latent power in the power arm, and this is where you get to “push,” whereas if you’re not syncing it with the “pull” of the leading side, the “pull” will win out and you’ll either release early or have to do things to prevent it. Dunaway on the other hand was nice and tight, and so he was able to sync his leading side “pull” effortlessly with the drop into the “push” action of the 2nd Lever, and that’s why he was so long even with standard non-long-drive clubs. 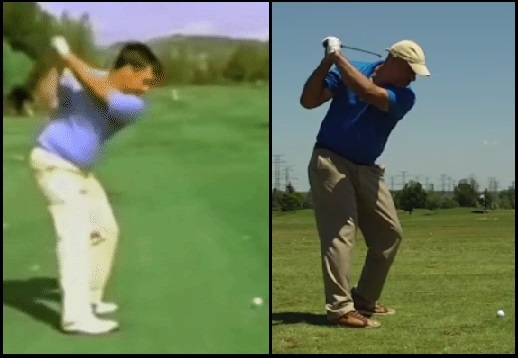 So, if you want to swing as simply as possible, with as few things to worry about as possible, then you want to take unorthodox things out of your swing, as I’m myself moving away from the past-parallel position of my earlier years, and going tighter and shorter. Physics baby…. its all in the physics. Cameron Champ seems to have a tight pivot; but Jamie Sad. has his elbow flying a bit? 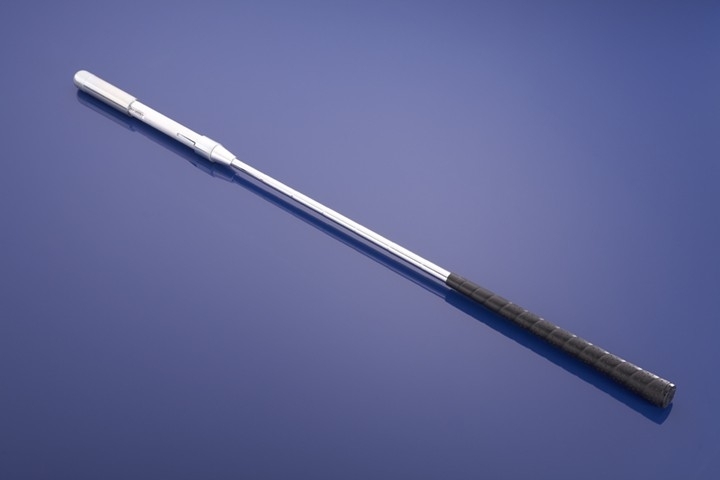 Sadlowski however is a long-driver and they want as long a back swing as possible to generate momentum with the extra-length driver shafts. They are more concerned with how long a back swing they can produce. So, you’re not going to see tight pivots from the long-drivers for the most part. You’re also going to get quite a bit of trade-off in ball-striking and accuracy, as you can see that whenever you watch a long-drive event. DJ, can you define what you mean by tighter? 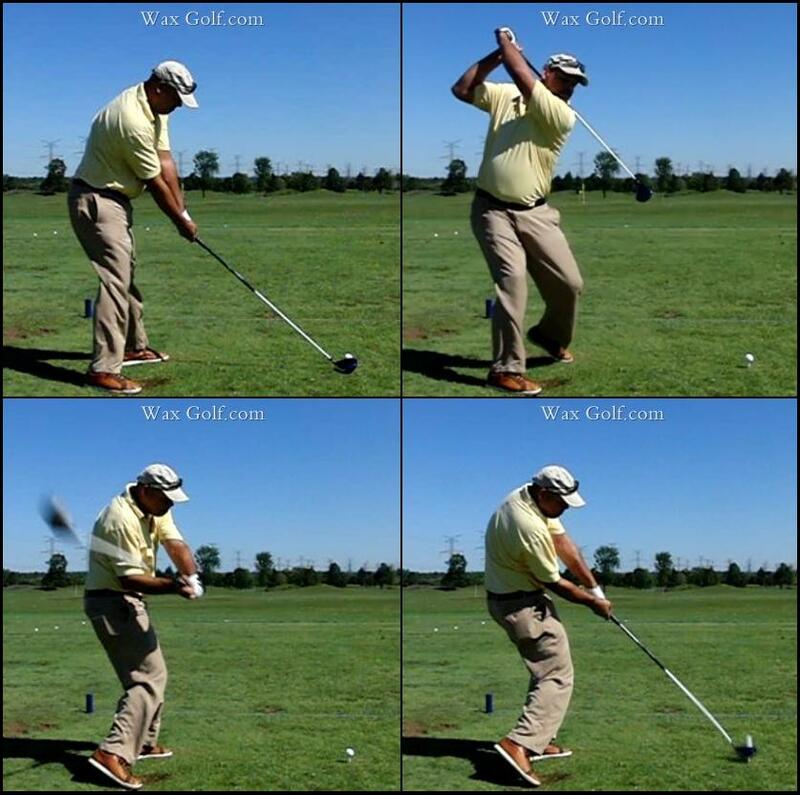 I get shorter and longer swings, meaning reaching further back or turning more in the backswing. By tighter do you mean the hands and in closer to the body, rather than extended away? Almost collapsed into the body? 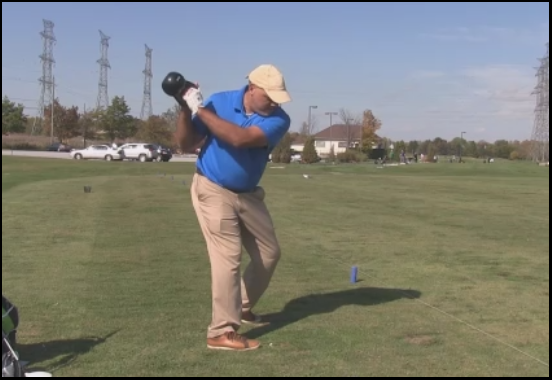 Until you get the “feel” of the tighter position (it will click in and you’ll know where you should be at the top), I would just define it loosely as keeping the elbow lower, jh – if the elbow flies out or gets so high that the upper arm is parallel to the ground, it’s probably getting to where you lose leverage.